In 2010, the University of Nebraska-Lincoln purchased the former Nebraska State Fairgrounds site to develop Nebraska Innovation Campus (NIC), a premier private/public research and technology development center. 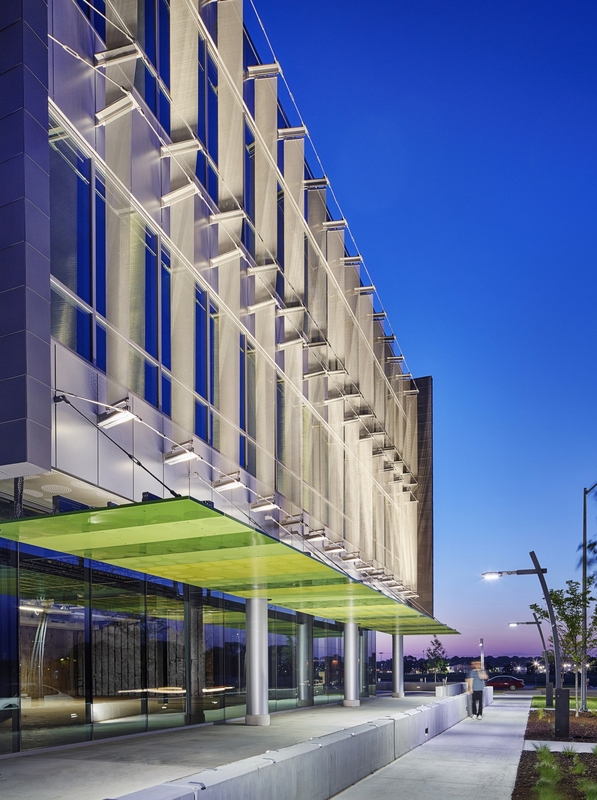 Nebraska Nova LLC was selected as the developer for NIC and appointed Sinclair Hille Architects to develop the first research buildings on the campus. Innovation Commons is a building complex that serves as the central hub of Nebraska Innovation Campus. 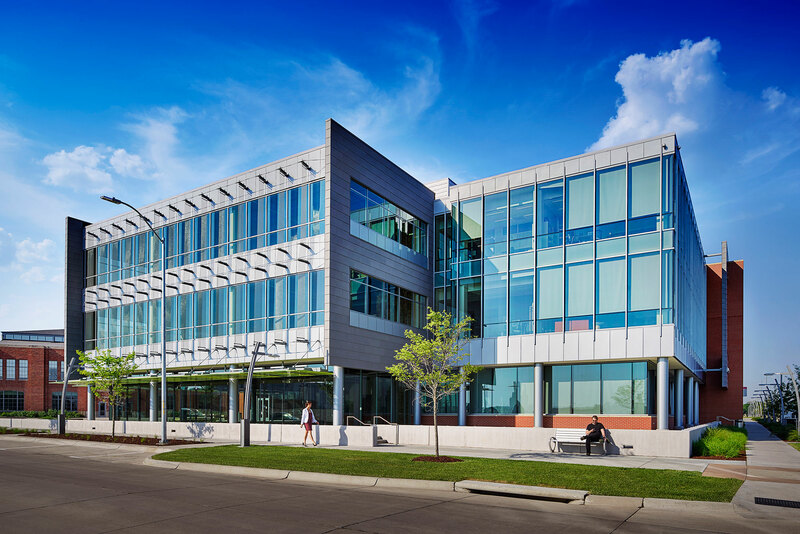 Featuring the NIC Conference Center, Nebraska Innovation Studio, office space and a planned restaurant, Innovation Commons is the front door for NIC. Sinclair Hille provided architectural services that included renovation of the historic 1931 4-H Building and the new office/research companion building. Together, the two buildings provide over 130,000 s.f. of university research, incubator businesses, translational research, convenience retail, tenant offices and labs. The 4-H building renovation includes a new conference center with a 400 seat auditorium, eight conference break out rooms and leasable office space. The existing two-story structure comprises 68,000 s.f., of space, with the original high bay trusses restored as a prominent feature of the Conference Center. Connected to the former 4-H building via a two story link is the new, three story 65,000 s.f., state-of-the-art office/research companion building. An open plaza is located between the two buildings and serves as the heart of the entire Innovation Campus and the home for outdoor concerts, gatherings and overflow conference space.